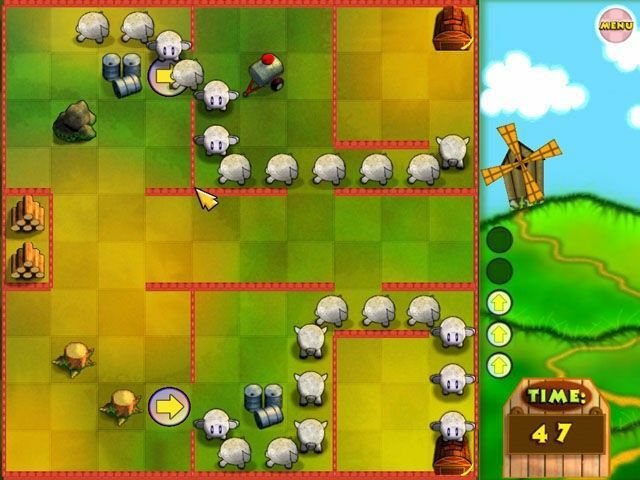 Tiny Worlds will bring out the sheepherder in you as you guide helpless animals past ravenous predators and safely home. 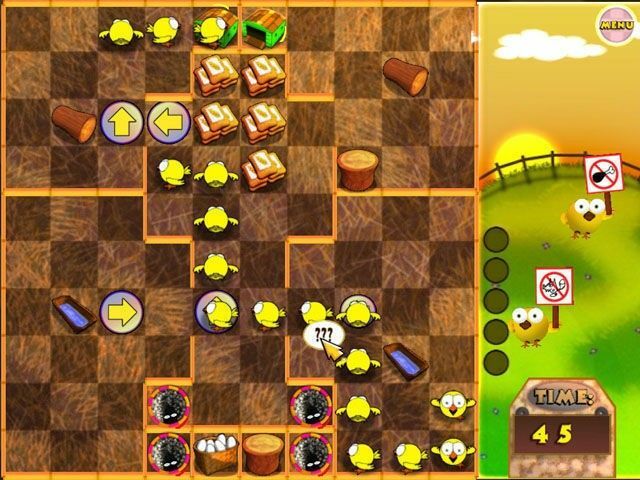 Use logic and fine-tune your reflexes on 250 levels of brain-teasing fun set in colorful game worlds. Tiny Worlds will bring out the sheepherder in you as you guide helpless animals past ravenous predators and safely home. By placing arrows on the screen, you can guide little fish away from hungry sharks, for example, or keep an innocent puppy from meeting up with a creepy ghost. Using clever reasoning and precision timing, you can then pick up the arrows you've placed and set them elsewhere to send your enemies tumbling into a dark well, never to return. The 250 puzzles contained in Tiny Worlds will never fail to challenge you in new ways. 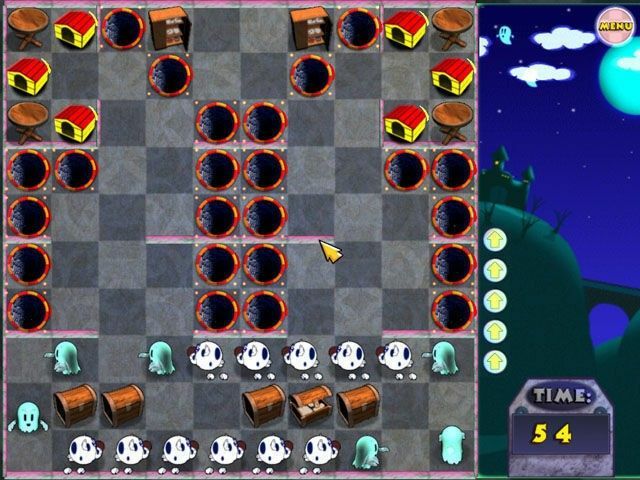 Each of the five episodes contained in Tiny Worlds begins with an easy string of levels and slowly ramps up the difficulty. No matter how many times you retry a level, though, you'll enjoy the colorful worlds, charming animation and sprightly music. Simple controls, three difficulty levels and non-violent gameplay complete the package, so download Tiny Worlds today!